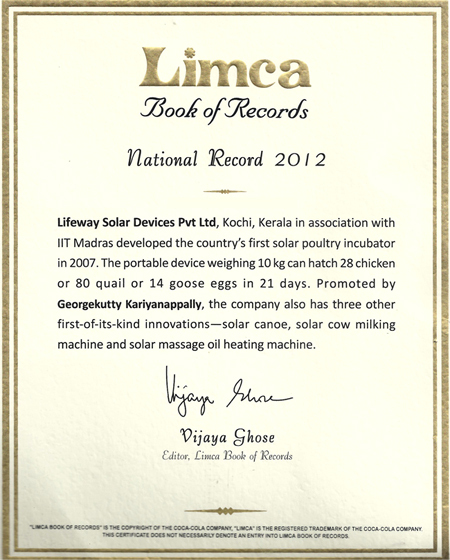 This book tells about Renewable Energy particularly solar Energy production and its utilization, Energy Conservation, LED LIghts etc. in simple Malayalam. An ideal hand book for Architects, builders and Interior designers to give it to their clients. This can be considered as the reference book for Engineering Students in Colleges, It can also add in to the curriculam of Poly Technic. ITI , 8th and 9th Std School's Physics subject etc. 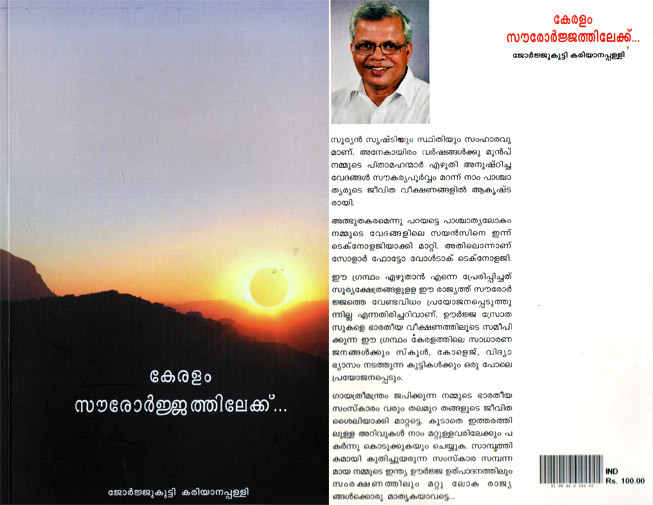 This book will be translated in to English, Tamil and Kannada languages soon as per the demand. 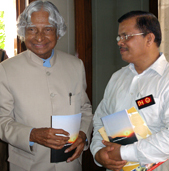 The first copy of my book "Keralam Saurorjathilaike" (Keralam Towards Sun Energy) is handed over to the Prophet of Solar Energy in India during his visit to kerala on 23rd July 2009.